You Are Here: Home > You’re Invited to The All-New Sprinter Open House! The all-new Sprinter is the latest chapter in the Sprinter success story, and it’s here for you now. Come and experience the innovative safety features, advanced technology, and customizable solutions of this game-changing van and you’ll see why it’s the difference between a van that you merely drive and a van that is driven to help you succeed. Built for you. The all-new Sprinter. Visit Ray Catena Mercedes-Benz of Edison during their All-New Sprinter Open House. During this time our MB Vans and Sprinter Professionals will demonstrate the newest features and equipment on the 2019 Model Year Lineup of Sprinter Vans. 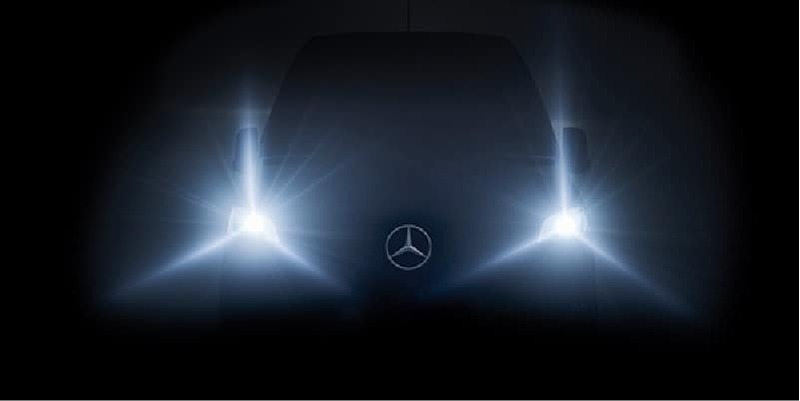 Additionally, we’d be happy to review the latest finance & lease offers to ensure you’re getting the best offer on your MB Van purchase. Join us in our Sprinter showroom, enjoy complimentary food & soft beverages, and learn more about these incredibly capable work vehicles. * Check out this 2019 Mercedes-Benz Metris Cargo * * 2019 ** Mercedes-Benz * * Metris * This 2019 Mercedes-Benz Metris Cargo might just be the van you've been looking for. This is the vehicle you have been waiting for! Call now to schedule a test drive! You take care of your family, your work, your life we'll take care of your car. Experience the Ray Catena difference for yourself. Call or visit us today! * Check out this 2019 Mercedes-Benz Metris Cargo * * 2019 ** Mercedes-Benz * * Metris * This 2019 Mercedes-Benz Metris Cargo might just be the van you've been looking for. This is the vehicle you have been waiting for! Call now to schedule a test drive! You take care of your family, your work, your life we'll take care of your car. Experience the Ray Catena difference for yourself. Call or visit us today! * Check out this 2019 Mercedes-Benz Metris Cargo * * 2019 ** Mercedes-Benz * * Metris * This 2019 Mercedes-Benz Metris Cargo might just be the van you've been looking for. View this beauty and our entire inventory today! Call for more details. You take care of your family, your work, your life we'll take care of your car. Experience the Ray Catena difference for yourself. Call or visit us today! * Check out this 2019 Mercedes-Benz Metris Cargo * * 2019 ** Mercedes-Benz * * Metris * This 2019 Mercedes-Benz Metris Cargo might just be the van you've been looking for. View this beauty and our entire inventory today! Call for more details. You take care of your family, your work, your life we'll take care of your car. Experience the Ray Catena difference for yourself. Call or visit us today! * Check out this 2019 Mercedes-Benz Metris Cargo * * 2019 ** Mercedes-Benz * * Metris * This 2019 Mercedes-Benz Metris Cargo might be the one you've been waiting for. Don't regret waiting on this one! Call today to schedule your test drive. You take care of your family, your work, your life we'll take care of your car. Experience the Ray Catena difference for yourself. Call or visit us today! * Check out this 2019 Mercedes-Benz Metris Cargo * * 2019 ** Mercedes-Benz * * Metris * This 2019 Mercedes-Benz Metris Cargo might be the one you've been waiting for. Don't regret waiting on this one! Call today to schedule your test drive. You take care of your family, your work, your life we'll take care of your car. Experience the Ray Catena difference for yourself. Call or visit us today! * Check out this 2019 Mercedes-Benz Metris Cargo * * 2019 ** Mercedes-Benz * * Metris * This 2019 Mercedes-Benz Metris Cargo might just be the van you've been looking for. Good cars sell fast! Give us a call and schedule an appointment today! You take care of your family, your work, your life we'll take care of your car. Experience the Ray Catena difference for yourself. Call or visit us today! * Check out this 2019 Mercedes-Benz Metris Cargo * * 2019 ** Mercedes-Benz * * Metris * This 2019 Mercedes-Benz Metris Cargo might just be the van you've been looking for. Good cars sell fast! Give us a call and schedule an appointment today! You take care of your family, your work, your life we'll take care of your car. Experience the Ray Catena difference for yourself. Call or visit us today! * Check out this 2019 Mercedes-Benz Metris Cargo * * 2019 ** Mercedes-Benz * * Metris * This 2019 Mercedes-Benz Metris Cargo might just be the van you've been looking for. Don't wait on this one. Schedule a test drive today! You take care of your family, your work, your life we'll take care of your car. Experience the Ray Catena difference for yourself. Call or visit us today! * Check out this 2019 Mercedes-Benz Metris Cargo * * 2019 ** Mercedes-Benz * * Metris * This 2019 Mercedes-Benz Metris Cargo might just be the van you've been looking for. Don't wait on this one. Schedule a test drive today! You take care of your family, your work, your life we'll take care of your car. Experience the Ray Catena difference for yourself. Call or visit us today! * 6 Cylinder engine * * Check out this 2019 Mercedes-Benz Sprinter Cargo 2500 * * 2019 ** Mercedes-Benz * * Sprinter Cargo * This 2019 Mercedes-Benz Sprinter Cargo 2500 might just be the cargo van you've been looking for. It has a 6 Cylinder engine. Enjoy superior fuel economy with a diesel engine. Call and schedule your test drive today! You take care of your family, your work, your life we'll take care of your car. Experience the Ray Catena difference for yourself. Call or visit us today! * 6 Cylinder engine * * Check out this 2019 Mercedes-Benz Sprinter Cargo 2500 * * 2019 ** Mercedes-Benz * * Sprinter Cargo * This 2019 Mercedes-Benz Sprinter Cargo 2500 might just be the cargo van you've been looking for. It has a 6 Cylinder engine. Enjoy superior fuel economy with a diesel engine. Call and schedule your test drive today! You take care of your family, your work, your life we'll take care of your car. Experience the Ray Catena difference for yourself. Call or visit us today! * 6 Cylinder engine * * Check out this 2019 Mercedes-Benz Sprinter Cargo 2500 * * 2019 ** Mercedes-Benz * * Sprinter Cargo * This 2019 Mercedes-Benz Sprinter Cargo 2500 might just be the cargo van you've been looking for. It has a 6 Cylinder engine. Check out the driving performance on this diesel-engine vehicle. Don't wait on this one. Schedule a test drive today! You take care of your family, your work, your life we'll take care of your car. Experience the Ray Catena difference for yourself. Call or visit us today! * 6 Cylinder engine * * Check out this 2019 Mercedes-Benz Sprinter Cargo 2500 * * 2019 ** Mercedes-Benz * * Sprinter Cargo * This 2019 Mercedes-Benz Sprinter Cargo 2500 might just be the cargo van you've been looking for. It has a 6 Cylinder engine. Check out the driving performance on this diesel-engine vehicle. Don't wait on this one. Schedule a test drive today! You take care of your family, your work, your life we'll take care of your car. Experience the Ray Catena difference for yourself. Call or visit us today! * 6 Cylinder engine * * Check out this 2019 Mercedes-Benz Sprinter Cargo 2500 * * 2019 ** Mercedes-Benz * * Sprinter Cargo * This 2019 Mercedes-Benz Sprinter Cargo 2500 might just be the cargo van you've been looking for. It comes with a 6 Cylinder engine. This diesel vehicle has more power, more fuel economy and more bang for your buck. Interested? Call today and schedule a test drive! You take care of your family, your work, your life we'll take care of your car. Experience the Ray Catena difference for yourself. Call or visit us today! * 6 Cylinder engine * * Check out this 2019 Mercedes-Benz Sprinter Cargo 2500 * * 2019 ** Mercedes-Benz * * Sprinter Cargo * This 2019 Mercedes-Benz Sprinter Cargo 2500 might just be the cargo van you've been looking for. It comes with a 6 Cylinder engine. This diesel vehicle has more power, more fuel economy and more bang for your buck. Interested? Call today and schedule a test drive! You take care of your family, your work, your life we'll take care of your car. Experience the Ray Catena difference for yourself. Call or visit us today! * 6 Cylinder engine * * Check out this 2019 Mercedes-Benz Sprinter Cargo 2500 * * 2019 ** Mercedes-Benz * * Sprinter Cargo * This 2019 Mercedes-Benz Sprinter Cargo 2500 might just be the cargo van you've been looking for. It has a 6 Cylinder engine. Get lower maintenance and lower emissions with this diesel vehicle. Don't wait on this one. Schedule a test drive today! You take care of your family, your work, your life we'll take care of your car. Experience the Ray Catena difference for yourself. Call or visit us today! * 6 Cylinder engine * * Check out this 2019 Mercedes-Benz Sprinter Cargo 2500 * * 2019 ** Mercedes-Benz * * Sprinter Cargo * This 2019 Mercedes-Benz Sprinter Cargo 2500 might just be the cargo van you've been looking for. It has a 6 Cylinder engine. Get lower maintenance and lower emissions with this diesel vehicle. Don't wait on this one. Schedule a test drive today! You take care of your family, your work, your life we'll take care of your car. Experience the Ray Catena difference for yourself. Call or visit us today! * 6 Cylinder engine * * Check out this 2019 Mercedes-Benz Sprinter Cargo 2500 * * 2019 ** Mercedes-Benz * * Sprinter Cargo * This 2019 Mercedes-Benz Sprinter Cargo 2500 might just be the cargo van you've been looking for. It comes with a 6 Cylinder engine. Discover long-lasting durability with this diesel engine. Want to learn more? Call today for more information. You take care of your family, your work, your life we'll take care of your car. Experience the Ray Catena difference for yourself. Call or visit us today! * 6 Cylinder engine * * Check out this 2019 Mercedes-Benz Sprinter Cargo 2500 * * 2019 ** Mercedes-Benz * * Sprinter Cargo * This 2019 Mercedes-Benz Sprinter Cargo 2500 might just be the cargo van you've been looking for. It comes with a 6 Cylinder engine. Discover long-lasting durability with this diesel engine. Want to learn more? Call today for more information. You take care of your family, your work, your life we'll take care of your car. Experience the Ray Catena difference for yourself. Call or visit us today! * 6 Cylinder engine * * Check out this 2019 Mercedes-Benz Sprinter Cargo 2500 * * 2019 ** Mercedes-Benz * * Sprinter Cargo * Make your move on this 2019 Mercedes-Benz Sprinter Cargo 2500. It has a 6 Cylinder engine. This diesel vehicle has more power, more fuel economy and more bang for your buck. This is the vehicle for you! Give us a call today and don't let it slip away! You take care of your family, your work, your life we'll take care of your car. Experience the Ray Catena difference for yourself. Call or visit us today! * 6 Cylinder engine * * Check out this 2019 Mercedes-Benz Sprinter Cargo 2500 * * 2019 ** Mercedes-Benz * * Sprinter Cargo * Make your move on this 2019 Mercedes-Benz Sprinter Cargo 2500. It has a 6 Cylinder engine. This diesel vehicle has more power, more fuel economy and more bang for your buck. This is the vehicle for you! Give us a call today and don't let it slip away! You take care of your family, your work, your life we'll take care of your car. Experience the Ray Catena difference for yourself. Call or visit us today! * 6 Cylinder engine * * Check out this 2019 Mercedes-Benz Sprinter Cargo 2500 * * 2019 ** Mercedes-Benz * * Sprinter Cargo * Don't let this 2019 Mercedes-Benz Sprinter Cargo 2500 get away! It has a 6 Cylinder engine. Discover long-lasting durability with this diesel engine. Make your move before it's too late schedule a test drive today! You take care of your family, your work, your life we'll take care of your car. Experience the Ray Catena difference for yourself. Call or visit us today! * 6 Cylinder engine * * Check out this 2019 Mercedes-Benz Sprinter Cargo 2500 * * 2019 ** Mercedes-Benz * * Sprinter Cargo * Don't let this 2019 Mercedes-Benz Sprinter Cargo 2500 get away! It has a 6 Cylinder engine. Discover long-lasting durability with this diesel engine. Make your move before it's too late schedule a test drive today! You take care of your family, your work, your life we'll take care of your car. Experience the Ray Catena difference for yourself. Call or visit us today! * 6 Cylinder engine * * Check out this 2019 Mercedes-Benz Sprinter Cargo 2500 * * 2019 ** Mercedes-Benz * * Sprinter Cargo * This 2019 Mercedes-Benz Sprinter Cargo 2500 might just be the cargo van you've been looking for. It has a 6 Cylinder engine. Get lower maintenance and lower emissions with this diesel vehicle. Interested? Don't let it slip away! Call today for a test drive. You take care of your family, your work, your life we'll take care of your car. Experience the Ray Catena difference for yourself. Call or visit us today! * 6 Cylinder engine * * Check out this 2019 Mercedes-Benz Sprinter Cargo 2500 * * 2019 ** Mercedes-Benz * * Sprinter Cargo * This 2019 Mercedes-Benz Sprinter Cargo 2500 might just be the cargo van you've been looking for. It has a 6 Cylinder engine. Get lower maintenance and lower emissions with this diesel vehicle. Interested? Don't let it slip away! Call today for a test drive. You take care of your family, your work, your life we'll take care of your car. Experience the Ray Catena difference for yourself. Call or visit us today! * 6 Cylinder engine * * Check out this 2019 Mercedes-Benz Sprinter Cargo 2500 * * 2019 ** Mercedes-Benz * * Sprinter Cargo * Who could resist this 2019 Mercedes-Benz Sprinter Cargo 2500? It has a 6 Cylinder engine. Check out the driving performance on this diesel-engine vehicle. Interested? Don't let it slip away! Call today for a test drive. You take care of your family, your work, your life we'll take care of your car. Experience the Ray Catena difference for yourself. Call or visit us today! * 6 Cylinder engine * * Check out this 2019 Mercedes-Benz Sprinter Cargo 2500 * * 2019 ** Mercedes-Benz * * Sprinter Cargo * Who could resist this 2019 Mercedes-Benz Sprinter Cargo 2500? It has a 6 Cylinder engine. Check out the driving performance on this diesel-engine vehicle. Interested? Don't let it slip away! Call today for a test drive. You take care of your family, your work, your life we'll take care of your car. Experience the Ray Catena difference for yourself. Call or visit us today! * 6 Cylinder engine * * Check out this 2019 Mercedes-Benz Sprinter Cargo 2500 * * 2019 ** Mercedes-Benz * * Sprinter Cargo * This 2019 Mercedes-Benz Sprinter Cargo 2500 might just be the cargo van you've been looking for. It has a 6 Cylinder engine. This diesel vehicle has more power, more fuel economy and more bang for your buck. Good cars sell fast! Give us a call and schedule an appointment today! You take care of your family, your work, your life we'll take care of your car. Experience the Ray Catena difference for yourself. Call or visit us today! * 6 Cylinder engine * * Check out this 2019 Mercedes-Benz Sprinter Cargo 2500 * * 2019 ** Mercedes-Benz * * Sprinter Cargo * This 2019 Mercedes-Benz Sprinter Cargo 2500 might just be the cargo van you've been looking for. It has a 6 Cylinder engine. This diesel vehicle has more power, more fuel economy and more bang for your buck. Good cars sell fast! Give us a call and schedule an appointment today! You take care of your family, your work, your life we'll take care of your car. Experience the Ray Catena difference for yourself. Call or visit us today! * 6 Cylinder engine * * Check out this 2019 Mercedes-Benz Sprinter Cargo 2500 * * 2019 ** Mercedes-Benz * * Sprinter Cargo * Find what you've been looking for in this 2019 Mercedes-Benz Sprinter Cargo 2500. It has a 6 Cylinder engine. Enjoy superior fuel economy with a diesel engine. Don't regret waiting on this one! Call today to schedule your test drive. You take care of your family, your work, your life we'll take care of your car. Experience the Ray Catena difference for yourself. Call or visit us today! * 6 Cylinder engine * * Check out this 2019 Mercedes-Benz Sprinter Cargo 2500 * * 2019 ** Mercedes-Benz * * Sprinter Cargo * Find what you've been looking for in this 2019 Mercedes-Benz Sprinter Cargo 2500. It has a 6 Cylinder engine. Enjoy superior fuel economy with a diesel engine. Don't regret waiting on this one! Call today to schedule your test drive. You take care of your family, your work, your life we'll take care of your car. Experience the Ray Catena difference for yourself. Call or visit us today! * 6 Cylinder engine * * Check out this 2019 Mercedes-Benz Sprinter Cargo 3500 * * 2019 ** Mercedes-Benz * * Sprinter Cargo * This 2019 Mercedes-Benz Sprinter Cargo 3500 might just be the cargo van you've been looking for. It has a 6 Cylinder engine. It runs on diesel. Don't wait on this one. Schedule a test drive today! You take care of your family, your work, your life we'll take care of your car. Experience the Ray Catena difference for yourself. Call or visit us today! * 6 Cylinder engine * * Check out this 2019 Mercedes-Benz Sprinter Cargo 3500 * * 2019 ** Mercedes-Benz * * Sprinter Cargo * This 2019 Mercedes-Benz Sprinter Cargo 3500 might just be the cargo van you've been looking for. It has a 6 Cylinder engine. It runs on diesel. Don't wait on this one. Schedule a test drive today! You take care of your family, your work, your life we'll take care of your car. Experience the Ray Catena difference for yourself. Call or visit us today! * 6 Cylinder engine * * Check out this 2019 Mercedes-Benz Sprinter Cargo 3500 * * 2019 ** Mercedes-Benz * * Sprinter Cargo * This 2019 Mercedes-Benz Sprinter Cargo 3500 might just be the cargo van you've been looking for. It has a 6 Cylinder engine. This diesel vehicle has more power, more fuel economy and more bang for your buck. This is the vehicle for you! Give us a call today and don't let it slip away! You take care of your family, your work, your life we'll take care of your car. Experience the Ray Catena difference for yourself. Call or visit us today! * 6 Cylinder engine * * Check out this 2019 Mercedes-Benz Sprinter Cargo 3500 * * 2019 ** Mercedes-Benz * * Sprinter Cargo * This 2019 Mercedes-Benz Sprinter Cargo 3500 might just be the cargo van you've been looking for. It has a 6 Cylinder engine. This diesel vehicle has more power, more fuel economy and more bang for your buck. This is the vehicle for you! Give us a call today and don't let it slip away! You take care of your family, your work, your life we'll take care of your car. Experience the Ray Catena difference for yourself. Call or visit us today! * 6 Cylinder engine * * Check out this 2019 Mercedes-Benz Sprinter Cargo 3500 * * 2019 ** Mercedes-Benz * * Sprinter Cargo * This 2019 Mercedes-Benz Sprinter Cargo 3500 might just be the cargo van you've been looking for. It has a 6 Cylinder engine. Discover long-lasting durability with this diesel engine. Don't regret waiting on this one! Call today to schedule your test drive. You take care of your family, your work, your life we'll take care of your car. Experience the Ray Catena difference for yourself. Call or visit us today! * 6 Cylinder engine * * Check out this 2019 Mercedes-Benz Sprinter Cargo 3500 * * 2019 ** Mercedes-Benz * * Sprinter Cargo * This 2019 Mercedes-Benz Sprinter Cargo 3500 might just be the cargo van you've been looking for. It has a 6 Cylinder engine. Discover long-lasting durability with this diesel engine. Don't regret waiting on this one! Call today to schedule your test drive. You take care of your family, your work, your life we'll take care of your car. Experience the Ray Catena difference for yourself. Call or visit us today!